I am so thankful for all the wonderful father's in my life. My husband Bill such a good father to our son. 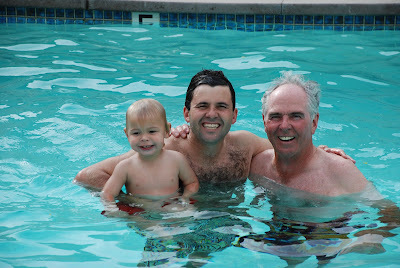 I could not have wished for a more hands on dad for Tripp who loves to spend time with him playing sports, talking walks on the beach and reading books at night. He even took him up to Thousand Oaks (an hour north) yesterday just to see some trucks, trains, tractors and helicopters on a dad's day out after we did not get home till midnight from the east coast the night before. Thank you Bill for putting your family first and for loving us so much. Everyday spent with you is more than I could ever ask for. The next father I'd like to thank is my dad, "Dido" to Tripp. He always took us everywhere with him as children, to the hospital to make rounds, to the museums ever Sunday, and abroad on crazy road trips in Europe. He helped shape the woman who I am to exposing us to so much at such an early age in life. He always clears his schedule to make time for us when we go back to Texas for a visit and loves showing my son all of the things he used to do with us as children. I hear lots of people pity themselves for their parents getting divorced when they were younger but it was a blessing for our family. I got two wonderful new siblings who I consider my own sister and brother and a step-father who always treated us as one of his own. When people ask how large my family was growing up I always say I was raised as one of five. I think that is why I love having people over. My step-father, "Poppy" to Tripp, introduced me to UNC where I met my husband Bill. Without his guiding influence in my life, I'm not sure where I'd be now. 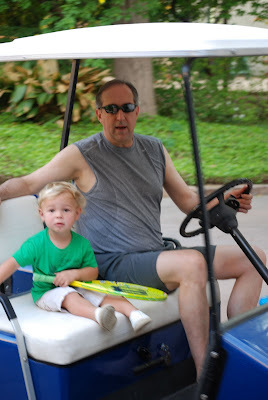 When we go back to Texas he loves taking my son on golf cart rides and teaching him how to play tennis. 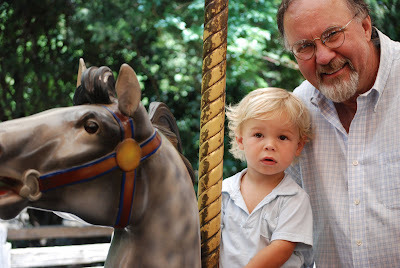 The fourth father in my life is my father-in-law, "Granddaddy" to Tripp. I could not have married into a more loving family. We are so lucky that they only live a few minutes away from us so we get to spend a lot of time together. He is counting the days until he can play in the Grandfather/Grandson golf tournament with his grandson. 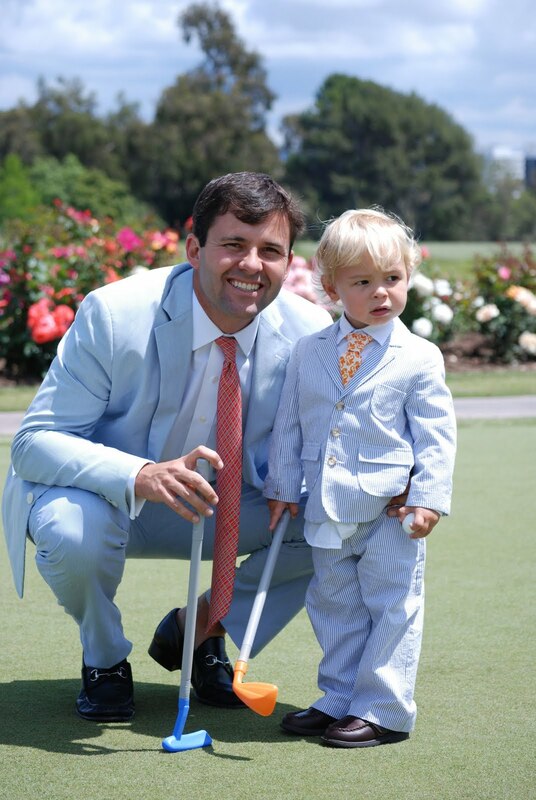 BBQ's at the Kings is a summer staple and he is a master at the grill, I hope he teaches our little guy his skills! What a beautiful family and a beautiful tribute - and to think you and Bill are Carolina grads. My husband, daughter, son-in-law, and I are all graduates of UNC. Have loved following your blog. As a first time Grandmother in September, I've gotten lots of inspiration and advice here! !